The traditional way to transfer files between your computer and your Android Smartphone is by using Data cable and Bluetooth. 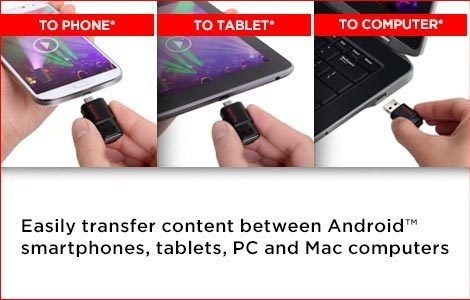 But now with the advent of technology there is an easier and faster way to transfer files between your pc and android smart-phone, which is by using the Dual On-The-Go (OTG) or Hybrid Pendrives. 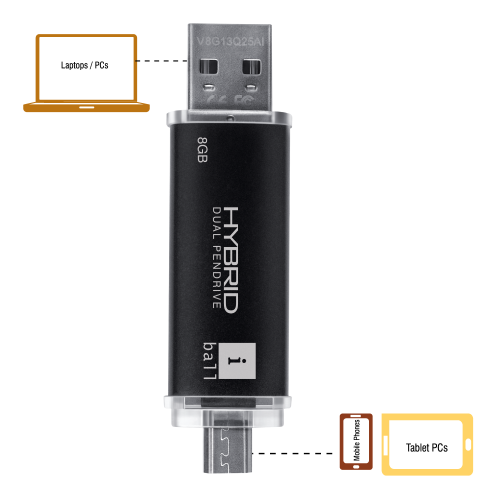 2 How to Transfer files using OTG or Hybrid Pendrive? A Dual OTG or Hybrid pendrive is a USB storage device that has got a micro-USB connector on one end and a USB 2.0 connector on the other. It is the latest invention in usb pen drive technology and it allows you to transfer files between your PC, MAC and Android devices (smartphones, tablets) very easily and at much faster speeds as compared to that of data cable and Bluetooth. OTG or Hybrid pendrives comes in capacities ranging from 8 GB to 64 GB. They are just like the normal plug-and-play usb flash drives, you only have to plug-in your hybrid pendrive to begin using it and no drivers are required for their operation. One thing when buying a OTG pendrive is that you should make sure that your Android device is compatible with OTG (On The Go) feature / functionality. Operating Systems supported by most Dual OTG Pendrives – Windows: XP, 7, 8, Mac OS X: 10.6, Android OS. How to Transfer files using OTG or Hybrid Pendrive? 5. Copy the files in the other device (PC or Android device) and remove the OTG Pendrive. Note: The Micro-USB connector is for smartphones and tablets while the normal USB connector is for PC, Mac and Laptops.